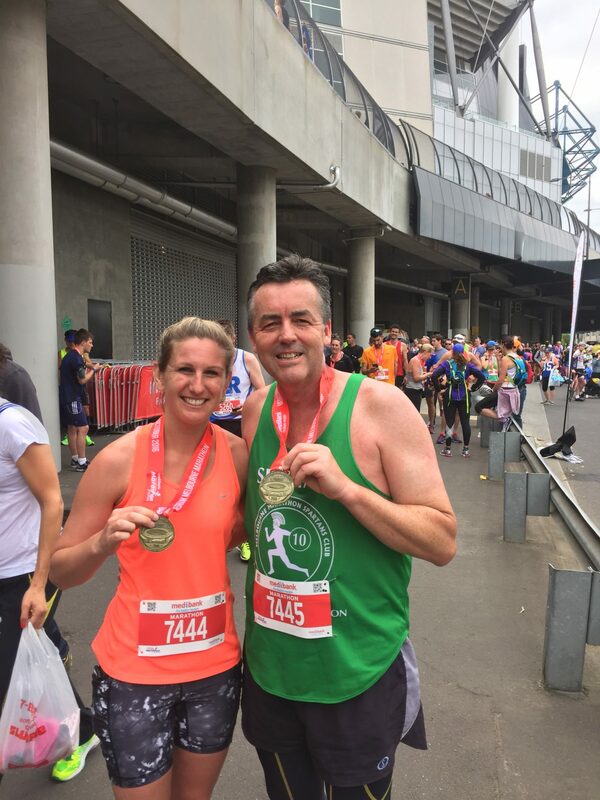 Darren Chester is the Federal Minister for Infrastructure and Transport and will be competing in his 12th Melbourne Marathon this weekend. Victorians are rightly proud of Melbourne’s title as the ‘sporting capital of the world’ but there’s one event featuring everyday heroes that rarely gets a mention. Sure, we have the Australian Open Tennis, Melbourne Cup, F1 Grand Prix, AFL Grand Final and Boxing Day Test, to name more than a few. But we’re also home to one of the great community sporting events in the nation: the Melbourne Marathon running festival. This Sunday morning, Batman Avenue will close and I will join 7000 fellow competitors as we embark on a 42.1km journey which takes us on a scenic but gruelling tour of the city and bayside suburbs. There will be some elite runners in the field but most of us won’t be quite as fit as we would like, and will take up to four hours or more, to complete the journey. overcome physical and mental challenges to finish with a glorious lap of the ‘G. For most of us, it’s the only time we will set foot on the hallowed turf without the risk of a fine for trespassing! Along the way, I hope to see the bloke who always runs in his beach thongs carrying a backpack. I asked him one year what was in the backpack and he drily replied: ‘a spare pair of thongs’. There will probably be the guy in the Superman suit with a big M for ‘Marathonman’ plastered on his chest. Not sure how he will go in all that blue Lycra if the temperature rises more than expected. A bus load or two will travel from Ballarat. The famous Ballarat Tan Clan who train all year with their ageing spiritual leader Richard Tan and run in the marathon after a big night of awards in a city hotel. There will be runners in pink tutus raising money for cancer research and there will be the Spartans, those of us who have run more than 10 times at Melbourne, and proudly wear a hideous green singlet to mark the achievement. The Spartans will be outnumbered by first-timers, those who have been motivated for their own reasons to take on an event which has its origins in Ancient Greece. From my mid-run chats with fellow runners over the years, the motivations for a marathoner are many, varied and often deeply personal. Some will run in honour of a family member who has passed away with a photograph of their loved one on their top. Theirs will be the most emotional journey of all but then again, there are always plenty of tears at the finish line of a marathon. As much as the runners are the centre of attention, it’s the volunteers and the local crowd which lines the route that makes the Melbourne Marathon so special. Children with handwritten signs of encouragement to their mum or dad; people ringing bells and strangers handing out lollies to provide an instant sugar hit. The cheering of the crowd lifts the spirit of runners and makes the impossible last few kilometres, just a little more possible. When you are doubting your capacity to finish the race and regretting a winter of too many pizzas and beers, the random call of a stranger to ‘keep going, mate’ is more than enough to help grind out a few more metres. Unlike the gladiators of the AFL who normally thrill crowds at the MCG, this Sunday is for us mere mortals. Come along and cheer us on: we will appreciate it and it might be enough to inspire you to complete your own marathon journey in the sporting capital of the world.